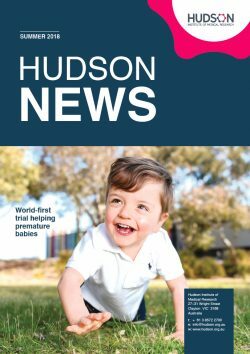 Hudson Institute’s finest medical researchers will continue to push the boundaries in their field thanks to continued generous support from Mr Peter Fielding and the Fielding Foundation. This year, Research Group Heads, Associate Professor Claudia Nold (2019 Fielding Foundation Fellowship) and Dr Michael Gantier (2019 Fielding Innovation Award), were rewarded for their innovative scientific projects. The Fielding Foundation Fellowship aims to help an outstanding early- to mid-career researcher to establish their own independent research. A/Prof Nold was rewarded for her cross-disciplinary academic and industry projects which translate anti-inflammatory targets into new clinical uses for which no effective treatments exist. This includes diseases from early life to adulthood. The Fielding Innovation Award assists an early- to mid-career researcher who is producing major advancements in the commercialisation of their research. Dr Gantier will be supported for his work developing novel immunotherapy strategies. 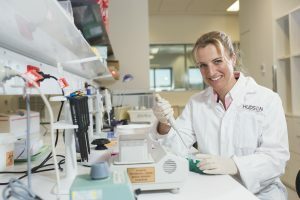 While her academic work stands on its own, A/Prof Nold is also a key investigator in a number of commercially focused projects investigating anti-inflammatory targets in autoimmune diseases. 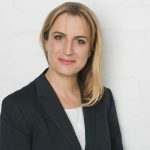 Monash University and the Hudson Institute of Medical Research established a research collaboration with the Swiss-based healthcare company Roche (F. Hoffman La-Roche Ltd and Hoffman-La-Roche Inc.). 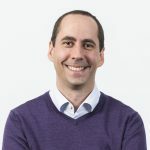 “The collaboration aims to develop next-generation treatments for autoimmune and inflammatory diseases, focused on proteins targeting novel molecular pathways,” A/Prof Nold said. Dr Gantier trained as a French biological engineer, who completed a three-year PhD at University College Dublin, Ireland, before joining Hudson Institute in 2006. Dr Gantier’s project, for which he received the award, looks at new ways to harness the STING pathway in immunotherapy. The funds from the award will go towards establishing feasibility and translational potential for this project. This news article was posted on 29 November, 2018 .